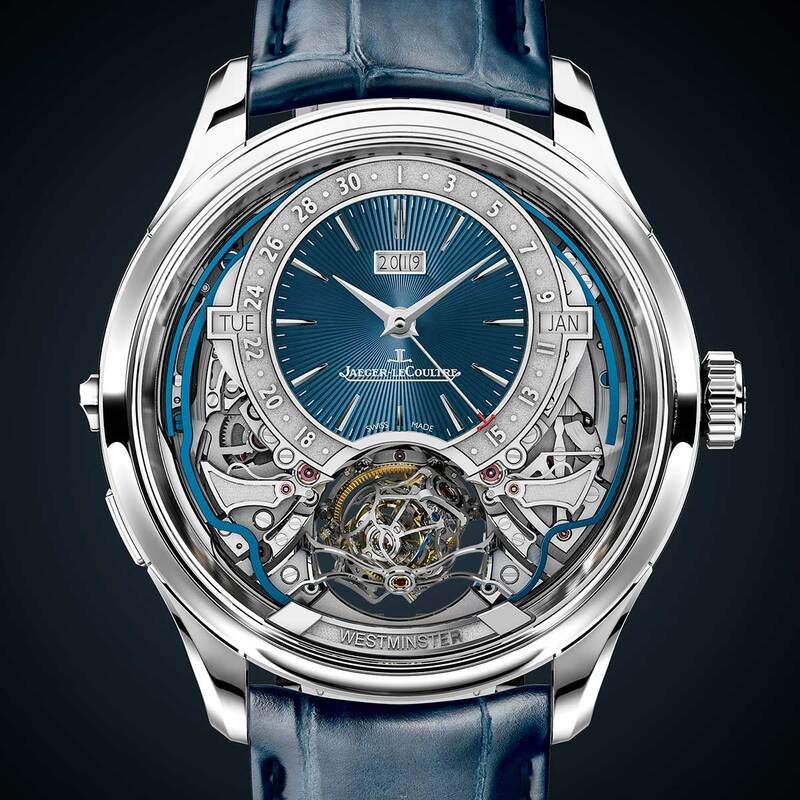 Jaeger-LeCoultre introduced its first multi-axis tourbillon in 2004 with the Master Gyrotourbillon 1. It was followed in 2008 by the exceptional Reverso Gyrotourbillon 2 (still one of our favourite watches). More recently, the brand released the Master Grande Tradition Gyrotourbillon 3 Jubilee (2013) and the Reverso Tribute Gyrotourbillon (2016). 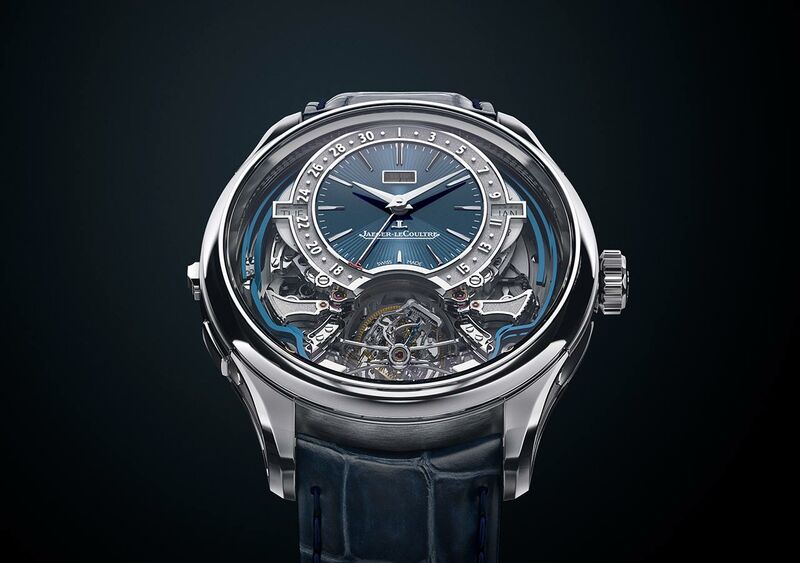 Multi-axis tourbillon are not only exceptionally precise but also visually spectacular. 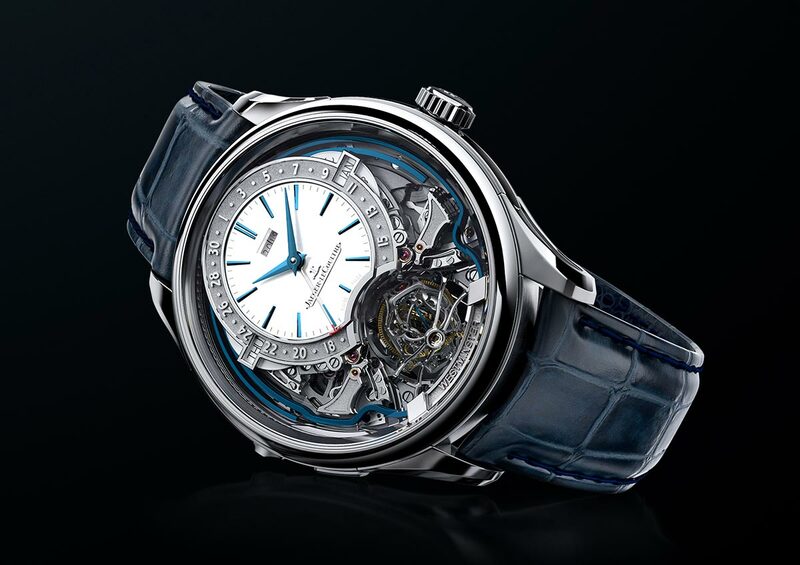 Fulfilling the considerable energy demands of these sophisticated mechanisms without affecting their chronometric performance is a challenge that only the most experienced and talented watchmakers can face. The latest evolution in the art of multi-axis tourbillons is the Master Grande Tradition Gyrotourbillon Westminster Perpétuel that Jaeger-Le Coultre unveiled on occasion of the Salon International de la Haute Horlogerie (January 14-17, 2019). This limited edition of just 18 pieces features a tourbillon that is significantly smaller than those in the preceding Gyrotourbillon timepieces for the desire of Jaeger-LeCoultre to deliver a truly wearable grand complication wristwatch, and not one destined to be stored in a safe most of the time. Inspired to the melody of the Big Ben clock at the Palace of Westminster in London, the Westminster chime is composed of four notes played in different sequences and different quantities at each quarter of the hour. The Master Grande Tradition Gyrotourbillon Westminster Perpétuel uses four sets of gongs and hammers to create the Westminster chime to indicate the quarters when the minute repeater is activated. 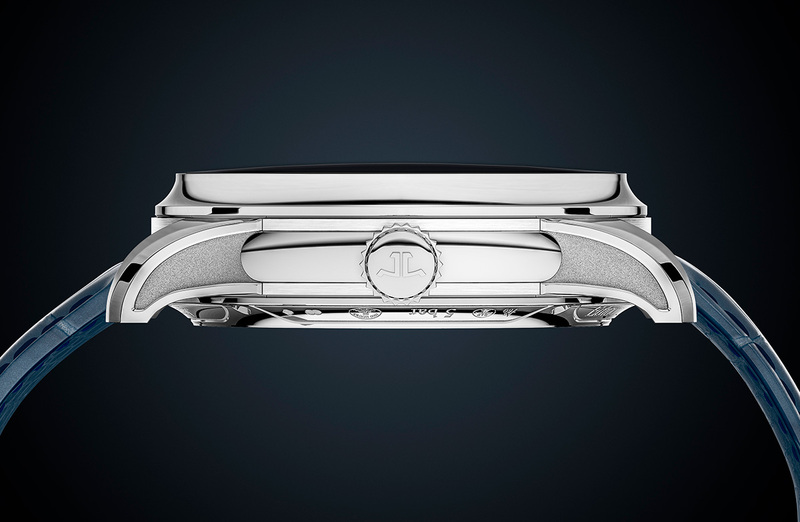 The watch also features a silence-reduction function built into its chiming mechanism. This ensures that even when the full set of Westminster quarters is not struck, there is no time delay corresponding to the missing quarters before the minutes are struck. In every instance of the chime when the Master Grande Tradition Gyrotourbillon Westminster Perpétuel is activated, the hour strikes, quarter strikes and minute strikes are seamlessly joined. 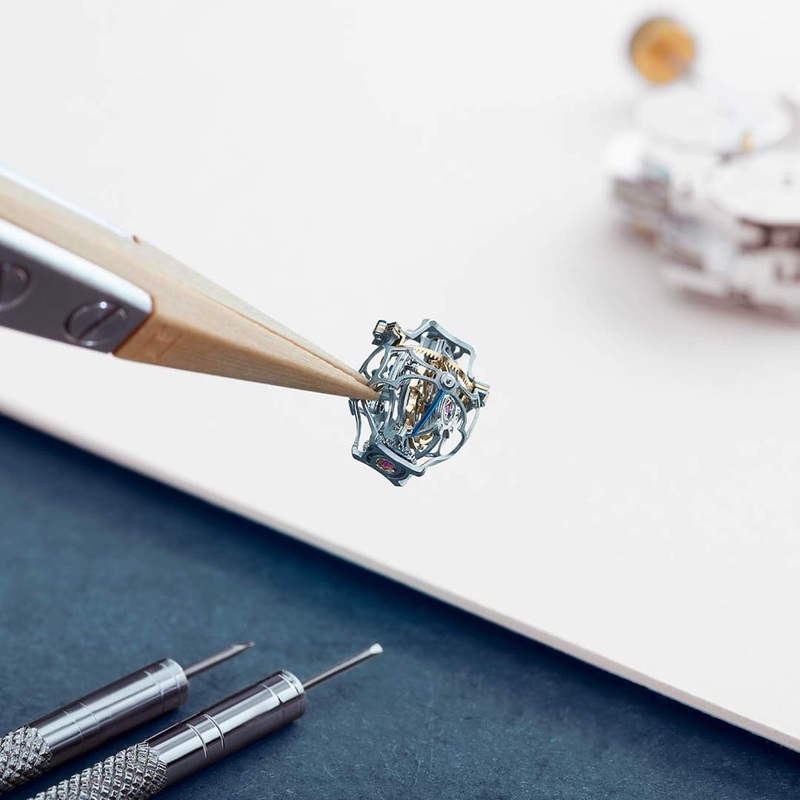 The one-minute constant-force mechanism provides a consistent level of power for the energy-hungry tourbillon without affecting its chronometric ability. The constant-force mechanism consists of a spring, known classically as a remontoir d’égalité, that is periodically re-armed by the mainspring and acts as a secondary power source to protect the regulating organ of the movement. In this model, the constant-force mechanism regulates the motion of the minute wheel, creating a jumping minutes hand that offers greater precision in time display. 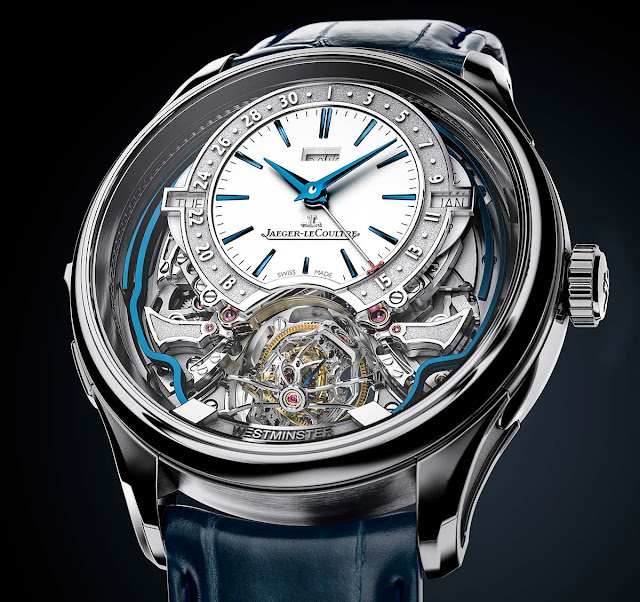 More significantly, the mechanism that controls the minute strike follows this one-minute jumping system, which completely eliminates the chiming error that can occur when the repeater is activated between minutes, when the chime played and the time shown can be one minute apart. A retractable minute repeater pusher, first seen in the Master Ultra Thin Minute Repeater Flying Tourbillon, preserves the smooth lines of the round 43 mm x 14.08 mm white gold case. 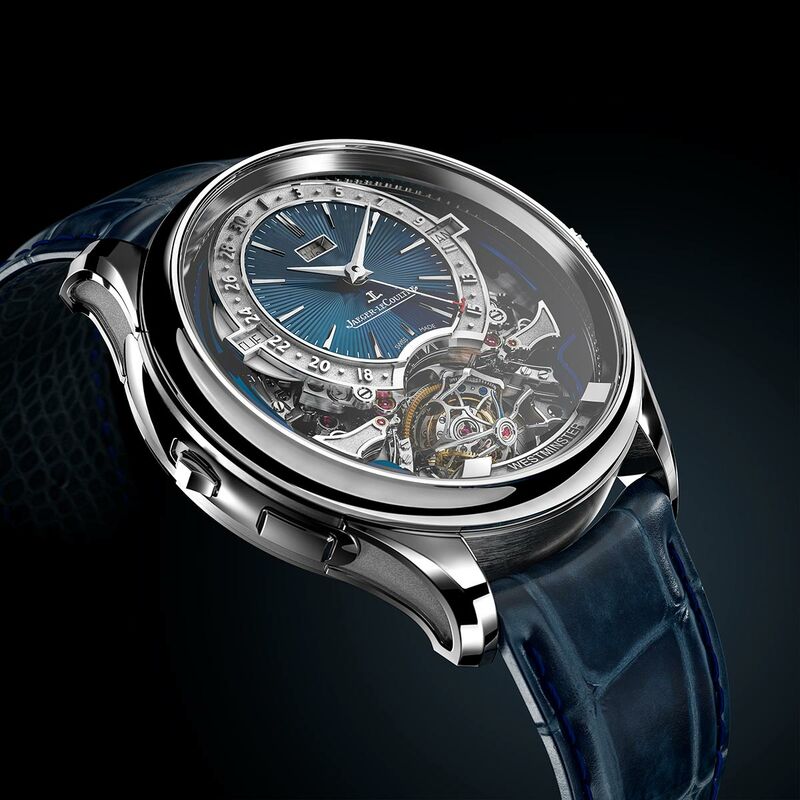 The openworked dial, available either in a deep-blue grand feu enamel (ref. Q52534E1) or in a more classic silver-grained version (ref. Q5253420), showcases the unique savoir-faire of the brand in the art of watchmaking finish with techniques like hand guillochage, fine hammering (martelage) and grand feu enamel. Beating at a frequency of 4 Hz (28,800 vph), the hand-wound Calibre 184 movement guarantees around 50 hours of power reserve. 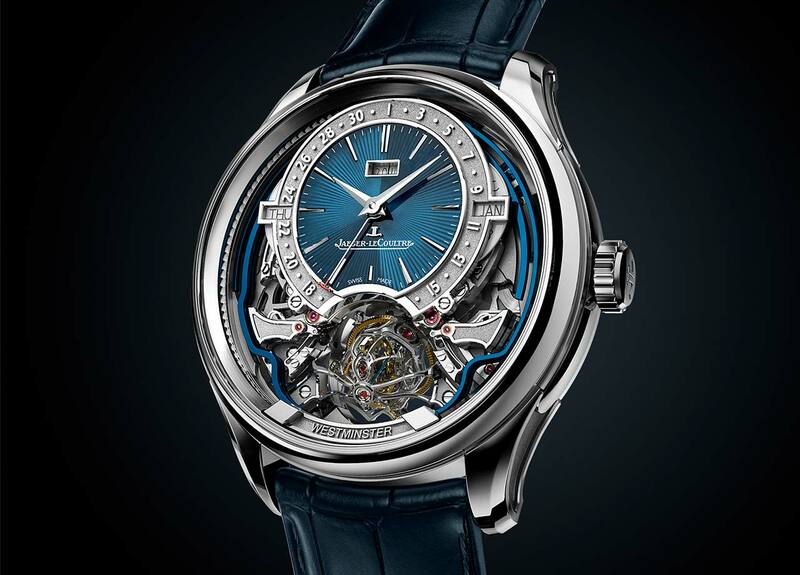 Jaeger-LeCoultre Hybris Mechanica Master Grande Tradition Gyrotourbillon Westminster Perpétuel with specs and prices. Available either in a deep-blue grand feu enamel (ref. Q52534E1) or in a more classic silver-grained version (ref. Q5253420). The latest evolution in the art of multi-axis tourbillons is the Master Grande Tradition Gyrotourbillon Westminster Perpétuel that Jaeger-Le Coultre unveiled on occasion of SIHH2019. 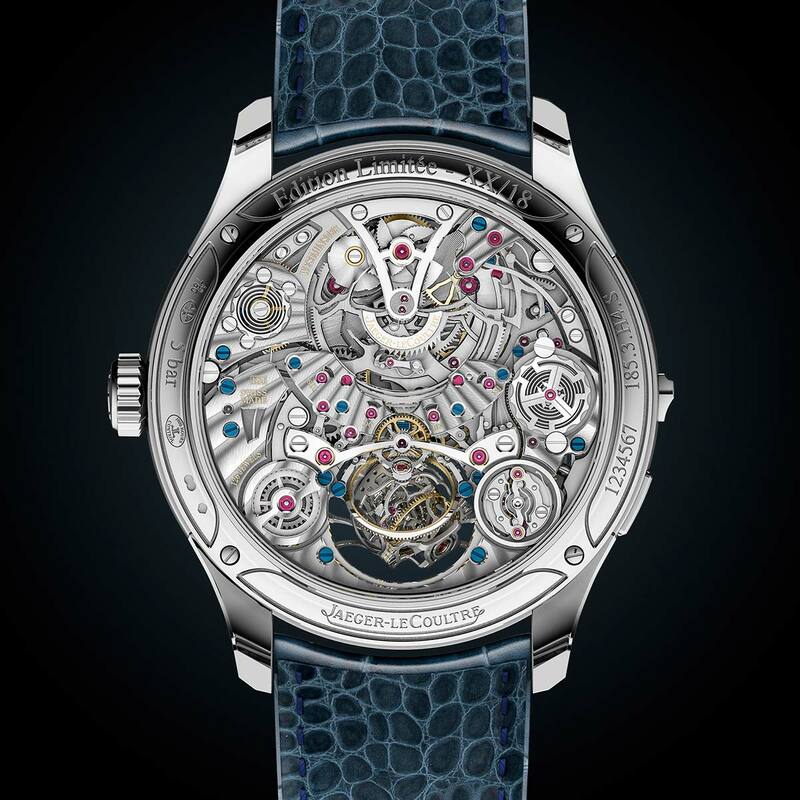 The price of the Jaeger-LerCoultre Master Grande Tradition Gyrotourbillon Westminster Perpétuel is expected to be around Euro 800,000.